General Exterior wall coverings - along with the roofing, flashings, windows and doors, are designed to provide a weather-resistive barrier that separates the interior of the structure from the elements. 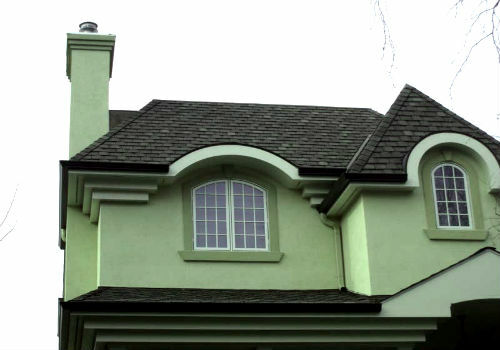 Low maintenance and attractive appearance are just two reasons why hard coat stucco has become so popular over the years. At the same time, the building industry has become aware of the need to protect the exterior wall sheathing from moisture damage. The walls shall be constructed so that water does not accumulate within the assembly. This means creating a water-resistive plane behind the exterior veneer that allows moisture that does get into the wall to drain down and out without coming in contact with the wood framing. Detailing around windows, doors and other penetrations in the envelope is equally important in protecting the wood frame structure behind the stucco from being damaged by water infiltration.